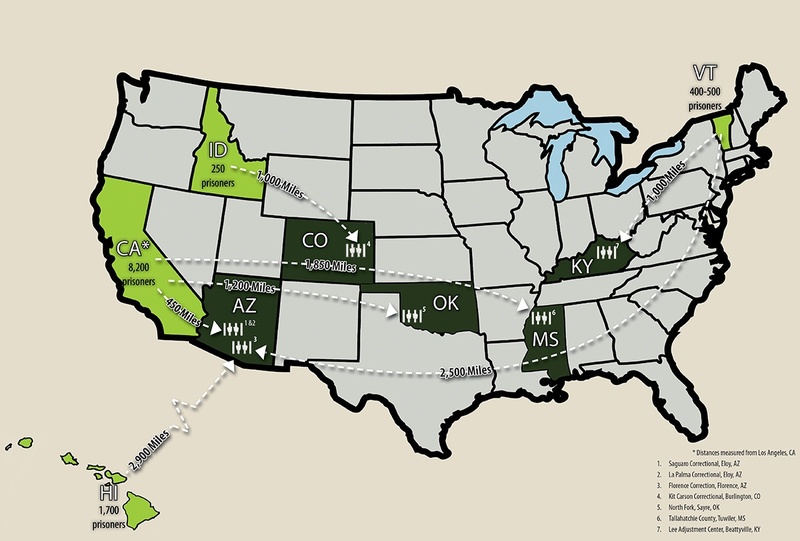 Prison industries are managed by the California Prison Industry Authority (CALPIA), which was created in 1983 based on model legislation written by the right-wing American Legislative Exchange Council (ALEC).5 CALPIA operates manufacturing, service, and agricultural enterprises within 34 state prisons. CALPIA is restricted to selling its goods and services to state agencies—Pelican Bay State Prison has a contract with Del Norte school district to provide laundry services, for example. However, since 1990’s Proposition 139 (Prison Inmate Labor Initiative) passed, private businesses can also set up shop in prisons and subcontract incarcerated workers.6 Data for incarcerated workers in private prisons7 and county jails8 are difficult to obtain. Prison administrators have responded to nonviolent resistance by locking down facilities, cutting off access and communication to the outside world for incarcerated workers. IWOC has ascertained that three locations went on strike, based on news reports and phone calls to prisons: Central California Women’s Facility (CCWF), Merced County Jail, and Taft Correctional Institution. 1. 5,588 is an average of enrollees in career technical education from January to July 2016 based on Institution Statistics (SB601) reports for 34 facilities by the California Department of Corrections and Rehabilitation. 3. California Prison Industry Authority Board, Annual Plan for FY 2016-2017, http://www.calpia.ca.gov/pdf/About_PIA/AnnualRpt_2016-17.pdf. 4. Solidarity Research Center’s analysis, http://tiny.cc/caprisonstrike. 5. Elk, M. and B. Sloan, 8/1/2011, “The Hidden History of ALEC and Prison Labor,” The Nation, https://www.thenation. com/article/hidden-history-alec-and-prison-labor/. 6. Joint Venture Program, http://jointventureprogram.ca.gov/aboutus/. 7. Egelko, B, 8/29/16, “As US cuts ties with private prisons, California to keep using them,” OC Register, http://www.ocregister. com/articles/prisons-727282-private-state.html. 8. Public Policy Institute of California, Aug. 2016, California’s County Jails, http://www.ppic.org/main/publication_show.asp?i=1061. Profit should be removed from the prison system, by allocation to the prisoners for improved diet and medical care, in order to free the state from the temptation to incarcerate people in order to exploit their labor. Needs more exposure to stop this insanity. Fortunately there is one presidential candidate who will stop it…but not one likely to be elected. Real presidential leadership would declare that incarceration IS the punishment and that all forms of degradation, withholding of services, medicines and food are prohibited. Being confined is a terrible experience and needs not be compounded by atrocities! All for-profit prison labor schemes should be eliminated. Teddy Roosevelt opposed this nonsense over 100 years ago. We are going backwards. Really in the end when it come to diet in prisons; studies show a complete nutritional diet makes people calmer and less violent, more able to focus on self, and have a lessend chance of recidivism. I am not talking about filet mignon. just real proper nutrition. Most of the food in prisons are labled “for institutional use only, NOT for human consumption” the incarcerated are locked up and away from their families for good cause. but should we really be feeding them substandard food that they have no choice to eat. In the long run it causes long term health issues that later in life the tax payers will be paying for in health care. They are not friggin slaves! Bravo and Brava! Slavery is unconstitutional. These are human beings. Prison should a place of reflection, rehabilitation and fixing problems instead of causing further damage and degradation. We are bringing people out who are more dangerous than when they went in. The system is corrupt the society is ignorant of how real changes are made. This is the way slavery is being perpetuated. Belief systems such as yours, my friend, are making this country much more dangerous. who pays for their expenses while they are incarcerated? costs are socialized, profits are privatized. It is, except for the expection of prison labor in the 13th amendment. That is how the Jim Crow South kept freed slaves working the land after the civil war. 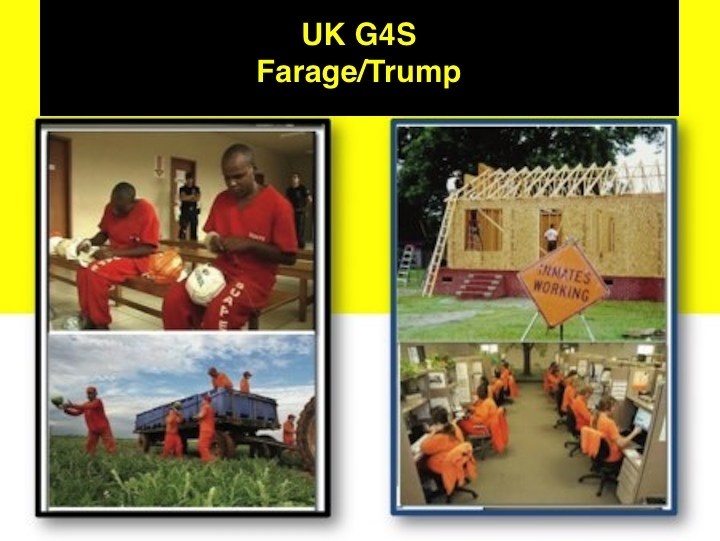 They put them in prison on trumped up charges. Now it is a huge profit driven business at government expense. Not quite. And it is getting better under Jerry Brown. But it is still too big. It should be two states….at least. 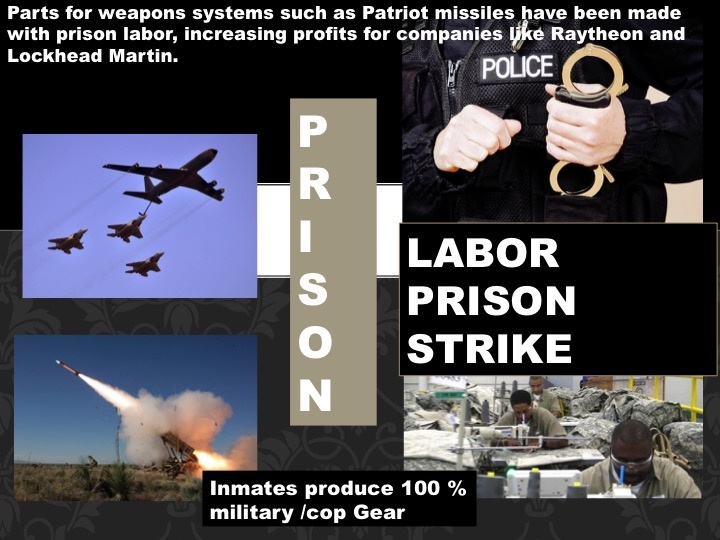 I think it is criminal not to support the end to profit prisons and slave labor. Countries that seek to rehabilitate offenders instead of punishing them, have safer and better societies. We can thank Black America, the Clinton’s and the CBC for this gdamn mess — and they want our votes. What are we voting for? I get it that we are voting against Trump and his deplorable mob, but more mass incarceration? More systemic racism? More poverty and displacement? More Police brutality in Democratic strongholds? More injustice? What are we voting for again?